Sp okeswomen Racing is proud to partner with Jubilee Women’s Center to support their mission. On February 27th, teammates Almie and Anne-Gi volunteered at Jubilee’s 5th Annual Mardi Gras fundraiser — creating an awesome experience for the event guests by helping with food and the event photo booth! For over 30 years, Jubilee Women’s Center has supported women experiencing poverty to build stable and fulfilling futures, and transformed the lives of over a thousand homeless and low-income women by providing safe, affordable and supportive community housing and educational resources to empower each woman to become financially independently, regardless of her circumstances. The event was a huge success. Keep up the good work, everyone! Team Rides… rain or shine! Spokeswomen racing is thrilled to add seven new members to our team for 2015! 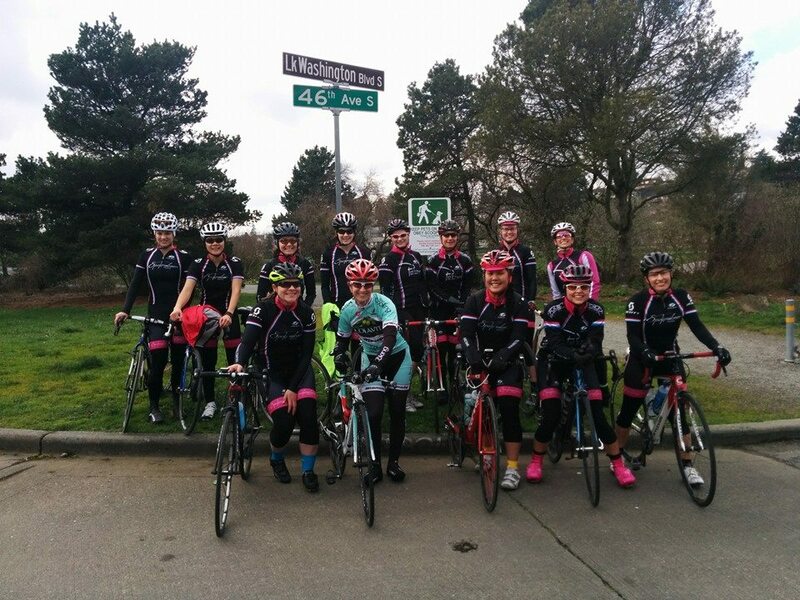 We had an awesome team ride around Lake Washington today. Keep an eye out for the black and pink — on the road, dirt, or track. Looking forward to a great season! A huge thanks to our teammate-turned-pro, Jess, for teaching a basic road skills clinic on on rainy Superbowl Sunday. 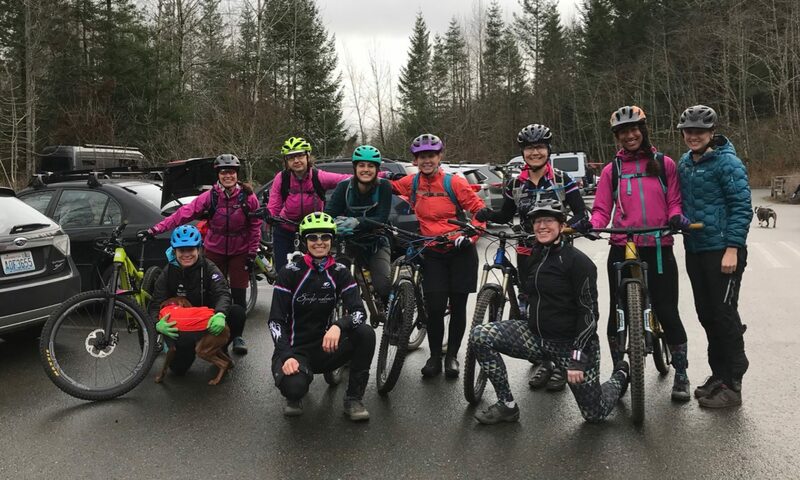 New and experienced members alike brushed up on their road riding skills, including pace lines, cornering, and braking — all in a safe, all-women environment. Now we’re ready for race season. See you out there!